This broadcast is part 1 of the graduation ceremony for the 143rd Gilead class. Gilead used to be an accredited school in New York State, but this is no longer the case. Samuel Herd of the Governing Body opened the sessions by speaking of Jehovah as our Grand Instructor. (Isa. 30:20) As usual, no mention of Jesus was made. Yet, since the first century, he is now our Grand Instructor. (John 13:13; Matthew 23:8) Herd also said that for the last five months, the students had been sitting at Jehovah’s feet, because the earth is his footstool. Again, Herd calls back on the OT quoting from Isaiah 66:1, rather than the up-to-date truth that now God has set the earth as a footstool for his Son, at whose feet we learn. (Luke 20:42) He says that the knowledge the students have acquired has drawn them close to Jehovah, but no one can draw close to Jehovah except through the Son. Without proper—not just tacit—recognition of Jesus, it is not possible to approach God, the Father. (John 14:6, 7) Why is due honor not being given the Son? I had to pause to pick my chin up off the floor. We’ve just touched this for the first time? We didn’t know about it before?? The publications have had different interpretations about the meaning of “this generation” for over 100 years! About every ten years from the decade of the 1960s forward, we “refined” and “adjusted” our understanding. Has that all been forgotten, swept under the carpet of history? And for what? A fabricated doctrine with no support in Scripture? It doesn’t even make sense logically. Jesus said: “Truly I say to you that this generation will by no means pass away until all these things happen.” (Mt 24:34) If Jesus had been referring to a generation that would not come on the world scene for another 1,900 years, one would have expected him to say “that generation”. Otherwise, saying “this generation” is just plain misleading. So, that’s one hole in the reasoning. But wait, can we suggest that by “this”, Jesus meant the generation that was present at 1914? Okay, let’s go with that. So there you are, in 1914…you’re baptized and you are spirit-anointed, and you’ve just witnessed the start of the First World War. You are part of “this generation”. So according to Jesus’ words, you will see the end; you will see ‘all these things come to pass’. Ah, but no. You won’t. You may be part of “this generation”, the 1914 generation, but there’s another “this generation”, one that doesn’t yet exist—but it’s not a “that” but a “this”. So when “this generation” of 1914 is all dead, then “this generation” (one that never saw 1914) will be part of the 1914 generation. Two distinct “this generations”, but really just one super generation, one “this generation”. Sam Herd says “we’ve touched this for the first time.” Where I live, “being touched” has another meaning. The next few talks give reasonably good counsel to the graduates to guide them in getting along with others as they go out on their assignments. Most of the talks are based in examples from the times of Israel. As such, all the focus is again on Jehovah, with little given to Jesus. The Governing Body’s growing insecurity becomes evident with the final talk: Yet another pitch for blind obedience. Mark Noumair goes to the account of 2 Samuel 21:1-10 and has to really reach to turn it into an example that can be used to get Witnesses to put up with injustices, both perceived and real, from the elders and higher-ups in the organization. His goal is to get you to remain loyal, while silently enduring and setting an example for others to do the same. The account is strange enough on its own from our modern perspective, but trying to use it to encourage loyalty to organizational arrangements is just bizarre. One of the best explanations I’ve seen for this comes from the Welwyn Commentary of the Old Testament. It’s a bit long, but well worth the read if you really want to get a handle on the probable mindset of those days. ‘It is on account of Saul and his blood-stained house …’ (2 Samuel 21:1). In the summer of 1977, the United States was rocked by a series of terrible tragedies. California was parched by drought and scorched by forest fires. Floods in central Pennsylvania took many lives and recalled the devastating Johnstown Flood of 1889 that buried a whole city in one night. And the city of New York was terrorized by the ‘son of Sam’ murders and the great ‘black-out’ in which over 2,000 shops were looted in a single night. Many people had cause to ask, ‘What do these things mean?’ And answers galore flowed from scientists, psychiatrists and sociologists. Few, if any, of these media pundits had a fraction of the insight on these problems that Pharaoh’s magicians had when, 3,500 years ago, they faced the plagues that had descended upon Egypt. The magicians had little conception of the secondary causes which so obsess us in our scientific age. They could not sample the blood-red waters of the Nile and send them to the laboratory for analysis; they had no zoologists to enlighten them about the mass irruptions of frogs and locusts; they had no ‘science’ with which to provide ‘explanations’ which are really little more than elaborate naturalistic descriptions of the events. And so, as supernaturalists—albeit heathen supernaturalists—they looked for ultimate answers. They duly put two and two together and arrived at the answer that it was all related to their confrontation with Moses and the Israelites and that, therefore, these calamities were ‘the finger of God’ (Exodus 8:19). They understood what modern secular man and secular modernist ‘Christians’ steadfastly refuse to admit—that God acts in history and that, consequently, there is a relationship between human behaviour and the events of history which can only be explained in terms of the interplay, on the one hand, of human sin and, on the other hand, of the long arm of God’s law. This is the issue which is addressed in 2 Samuel 21. It is first applied to the relationship between the Gibeonites, a Canaanite clan still living in Israel, and the Israelites, with particular reference to a past attempt by the late King Saul to apply the ‘final solution’ of genocide to the ongoing ‘problem’ of that subject people (21:1-14). It is then shown in action in the destruction of the Philistines and, on one occasion, the saving of David’s life in battle (21:15-22). The arm of the Lord reaches out to vindicate his justice and call the guilty to account. But it is the same arm that is not shortened so that it cannot save. The passage records that ‘During the reign of David, there was a famine for three successive years.’ It is not clear at what point in David’s reign the three-year famine took place. Current scholarship regards 2 Samuel 21–24 as an appendix to the historical narrative—the so-called ‘Samuel Appendix’—and therefore probably not in strict chronological order. Whatever the case may be, there is no doubt that the inspired historian recorded the circumstances of the calamity at this point in his narrative in order to focus attention on the same topic as chapters 19 and 20, namely, David’s dealings with the supporters and descendants of the house of Saul. You will recall that as David fled from Absalom, Shimei had called him ‘a man of blood’ on account of his alleged treatment of the house of Saul (16:7-8). The likelihood is that this accusation arose from matters covered by 21:2-14—the executions of Saul’s grandsons. The record of that incident is, accordingly, inserted in the text at this point in order to set the record straight. From the historian’s viewpoint, this is an essential component in the account of David’s restoration, for it proves him to be the Lord’s king over against any residual commitment to the house of Saul, as represented by Shimei, Sheba and the Benjamites. David is held up as the righteous king who is vindicated by the Lord. The first step towards this implied conclusion is the identification of the three-year famine with the sins of ‘Saul and his blood-stained house’. David had ‘sought the face of the Lord’ because he knew that the famine bore a relationship of some kind to the ethical and spiritual condition of Israelite society (Deuteronomy 28:47-48). In modern terms, we might say that so-called natural disasters are never merely ‘natural’ but are invariably related to the sinful human condition and constitute one component in the dealings of God with the human race. David did not jump to conclusions about this. He did not speculate as to the reasons, or cast around for scapegoats. He enquired of the Lord by the prescribed means and it was revealed to him that the reason was that the late King Saul had ‘put the Gibeonites to death’. The Gibeonites were an Amorite (Canaanite) people who had been spared annihilation when Israel entered the land. They had secured a treaty of peace with Israel by an ingenious deception (Joshua 9:3-15). When the Israelites discovered that they had been tricked, they nevertheless honoured their oath (cf. Psalm 15:4). This was the covenant which Saul had violated by attempting to annihilate the Gibeonites (21:2). The sin was compounded by the fact that whereas God had commanded Saul to extirpate the Amalekites (1 Samuel 15:3), he had given no such orders with respect to the Gibeonites. Years had passed since the crime, but God had not forgotten it and the famine was the initial impact of his retributive justice. This remarkable instance of cause and effect and of sin and judgement illustrates three principles of God’s dealings with men and nations, and most pointedly with his people, the church—for Israel was the church in the Old Testament period. When Saul attacked the Gibeonites, he almost certainly did it in the conviction that it would be pleasing to God. Yet he had no warrant for so doing. God had told him to deal with the Amalekites, but he had substituted the easier, more convenient task of descending on the hapless Gibeonites. He decided to do what he wanted to do, when he knew very well exactly what God wanted him to do, and he clothed his disobedience in the fraudulent respectability of the notion that he was doing the Lord’s work anyway. If you can’t just sin boldly, you find a way of redefining it as ‘good’! This method can easily be adapted to any aspect of life. Even gross breaches of the Ten Commandments have been justified in this way. Christian martyrs have been murdered under the pretence that it was God who required their deaths, while adulterers have justified themselves by arguing that the new ‘relationship’ was happier, more stable and consequently more pleasing to God than the marriage which had been broken by their sin. The troubles and events of history are not haphazard. Calamities are never ‘the luck of the draw’. They are all personal providences, falling within the orbit of God’s sovereignty—however inscrutable they may appear to be at the time. There is no reason for Christians to be squeamish about this. God is at work in the world and he is telling us something! The world may call it ‘bad luck’, but let Christians ‘employ more God-honouring language’ and realize that ‘When the smile of God is withdrawn from us, we should at once suspect that something is wrong.’ Our first reaction ought to be to go to the Lord in prayer and, with Job, ‘say to God: Do not condemn me, but tell me what charges you have against me.’ For those who love Jesus Christ, the answer will not be long in coming, for God is a loving Father to his people: like every faithful father he disciplines his children. But as the altogether righteous God, he will crush his enemies and vindicate those they have oppressed. Floods and famines ought to concentrate our minds on the practical—and the ultimate—questions of our life, its meaning and destiny, and the claims of God. It is a myth, although a very popular one, that ‘Time’ is ‘a great healer’. ‘Time’ is no substitute for repentance and changing our ways. People may forget our past sins and the receding of reproach may seem like healing, but God never forgets because he will perfectly vindicate his law and those who have been wronged. For Israel, the Gibeonite massacre was at most a half-forgotten tragedy; for God, it was a reckoning that only waited for his sounding of the trumpet! This is the very nature of the true justice of the eternal God. No injustice will slip past him. When men seem to get away with things for a certain time, they feel they are in the clear—things have ‘blown over’ or ‘cooled off’. But from the Lord’s perspective nothing merely ‘blows over’. There is no ‘statute of limitations’ with the justice of God. He will judge the world with righteousness. We should note that the Gibeonites had never complained about Saul’s pogrom. Like all oppressed and all-but-overwhelmed minorities, they just wanted to survive. Protest might only draw forth further cruelty and achieve the extinction for which Saul had striven so murderously. The victims kept quiet. It was the Lord who reopened the case with his three-year famine. David therefore approached the Gibeonites in order to redress the long-standing grievance. ‘How shall I make amends,’ he asked them, ‘so that you will bless the Lord’s inheritance?’ (21:3). The Gibeonite reply was as astute as it was restrained. In the first place, they were careful to observe both the proprieties of God’s law and the vulnerability of their own situation as a subject people. They did not ask for monetary damages, because God’s Word prohibits trading loss of life through murder for money. The death penalty was—and remains to this day—the proper punishment for murder (Numbers 35:31-33). ‘Those over-value money and under-value life,’ remarks Matthew Henry, ‘that sell the blood of their relations for corruptible things, such as silver and gold.’ Neither did they ask to be released from their serfdom under the Israelites, which would be a legitimate implementation of the law of restitution in Exodus 21:26: ‘If a man hits a manservant or maidservant in the eye and destroys it, he must let the servant go free to compensate for the eye.’ They also recognized that they did not have the right to put anyone to death in Israel. In this way, they wisely laid the entire responsibility for justice upon David’s decision as the chief magistrate of Israel. They were not without an idea of what they wanted, but they wanted David to understand that they were responding to him in a humble and genuinely aggrieved way as opposed to a proud and vindictive manner. When David again asked what he could do, they asked that ‘seven of [Saul’s] male descendants be given to [them] to be killed and exposed before the Lord at Gibeah of Saul—the Lord’s chosen one’ (21:5-6). This request is often regarded today as ‘strange and repellent’ because it involved the execution of seven supposedly ‘innocent men’. It therefore is the current fashion to explain this ‘in terms of the culture and attitudes of the age’. This approach, however, casts an aspersion on the Lord, who led David to dispense this justice for the Gibeonites. It suggests that God was himself boxed in by the culture and attitudes of the age and felt compelled to allow this essentially reprehensible deed to be done to accommodate contemporary primitive notions of justice. Meanwhile we can feel good that we are more enlightened! An assessment of this kind, however, ignores the most simple and basic fact of all—a fact that has to be a basic interpretive principle for understanding what was going on in these events—namely that God approved of this as a just retribution for the original genocide by Saul. Charles Simeon rightly observes: ‘such a kind of retribution would not be justifiable among us; because the children are not to suffer for the parents’ crimes [cf., Deuteronomy 24:16]: but, as ordered of God, it was right: and, if the whole truth were known, we would probably find that the sons of Saul had aided and abetted the wicked devices of their father; and that they therefore justly suffered as partners in his crime.’ It is significant that ‘seven’ only of the descendants of Saul were to be killed. This number represented the action of God and the completeness of his action. The Gibeonites asked for the minimum number by which the justice so done could be seen to be the work of God rather than the revenge of men. Even in this, the Gibeonites showed a restraint which evidences a profound understanding of and submission to the canons of divine justice. David’s response was to grant the request. By the side of Loch Oich, on the road between Fort William and Inverness, in Scotland, there stands a well, called in Gaelic, Tober n’an ceann’—the ‘well of the heads’. A monument with seven carved heads commemorates the washing there of the severed heads of the murderers of the young sons of Macdonald of Keppoch before they were presented by the executioners to the bereaved clan chief in token of accomplishment of justice, Highland style. When justice is done, it needs to be seen to be done, so that people may understand that God is not mocked. So David chose seven of Saul’s house. He handed over the two sons of Saul by Rizpah and five grandsons, the sons of Saul’s daughter Merab, taking care to exclude Mephibosheth, because of his covenant ‘before the Lord’ with Jonathan, Saul’s son (21:7). The seven were executed and their bodies hung up for public display at the time of the barley harvest, in token of the fact that famine had been God’s means of bringing the sin of the house of Saul to light. The Scripture says that ‘Anyone who is hung on a tree is under God’s curse’ (Deuteronomy 21:23). The exposure of the bodies was itself an extraordinary exception to the law of Deuteronomy 21:22-23, which prescribed burial before nightfall so that ‘the land’ would not be ‘desecrated’. The reason for this was that ‘the land’ was God’s inheritance and leaving a dead body unburied was literally and symbolically to pollute that which God had given. The curse upon the executed evildoer was not to be transferred to ‘the land’. In this case, the opposite was the case. It was ‘the land’ which was already cursed. The executions were for the purpose of lifting that curse. Therefore the exposure of the bodies lasted not only overnight but from the harvest, which was in April, to the coming of rain, which might well have been the normal rainy season in October! That is, it lasted until that which guaranteed the next harvest, and marked the cessation of God’s judgement, was an accomplished fact. Rizpah’s vigil spanned that period. She grieved over the sin that had taken her sons from her. She mourned until their remains could be buried properly. And in the meantime she prevented their corpses from becoming carrion for wild animals—surely a most remarkable instance of devotion to her sons (21:10). When David heard of this, he was moved to gather the bones of Saul and his sons and, with the remains of the seven, bury them in the tomb of their father Kish (21:11-14). This marked the definitive settlement of God’s controversy with Israel over the Gibeonite massacre. His grace once again blessed the crops of his people. How on earth is Mark Noumair going to use this account to get us to remain loyal to the Organization? To make his point, Mark must first get us to believe that Rizpah didn’t understand why the bodies of her sons and grandchildren could not be buried. That is highly unlikely, but he has to get us to believe this because his whole analogy depends upon it. We must also assume that, as was the case then, any perceived injustices we might experience from the Organization really do have God’s approval. If we obey, remain silent, and don’t complain, but simply endure and set a good example, we will be rewarded by God. 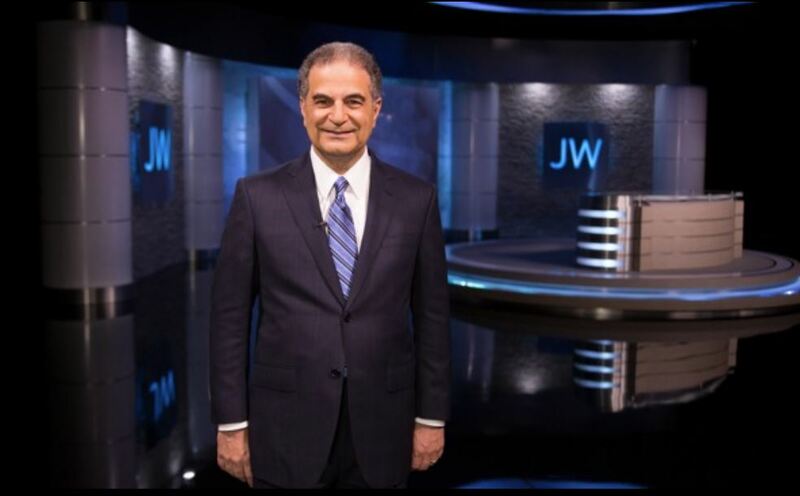 Consult our spirit medium @JW broadcasting to get the prescribed instructions on how to see reality – that’s all I hear when watching the broadcasts. “[…] I still cannot fathom how the Jewish concepts of God became this “worry” and “fear” and “be concerned about your eternal life instead of the present” that it has become for others like Jehovah’s Witnesses. Jews are taught to question God as did Abraham. Wrestle with God as did Jacob (Israel). Plead your case with God as did Job. Argue to change God’s mind about things as did Moses. And we live in the now, not tomorrow. Of course, the appeal to an obscure OT account to make the point. But what happened in the first century? The apostles TOOK ACTION! With what result? It is a very heavy load to “wait on Jehovah” for justice to be done INSIDE the congregation. Wondered if anyone noticed the fancy suit and eye-catching TV studio in the photo. Reminded me of 1 John 2:16, that the desire of the eyes and the showy display of one’s means of life (the way of life afforded to the GB, that is) does not originate with God but originates with the world. He doesn’t look any different than the other wolves in sheep clothing televangelist that I have seen. Where’s the distinction? He kind of looks like Benny Hinn standing there. Satan is the master of disguise and “prince of the air”, transmitting loud and proud from Watchtower Studios around the globe, digitally enhanced. Stumble someone? You mean, like, have a negative impact on contribution cash flow and accounts receivables? Funny you should mention his attire Brain, one night I couldn’t sleep and I turned on the TV . I happened on a young minister dressed in jeans , a casual jacket with an open neck shirt with no tie. He had no notes , only a bible , and he gave a half hour sermon on love that to this day affects me profoundly , I was absolutely spellbound by his sincerity and command of Greek words and expressions, he finished the sermon and I was hoping for more but that was it, I sat for another hour in the dark with the TV off thinking how unbuilt I was from this young mans sermon, nothing like JWorg. 1. GB members are so normal. They laugh and joke and worry about aging. 2. Samuel Herd thinks the generation is so cleared up now compared to 20 years ago. Is he being sarcastic? If he means it the GB must be so out of touch. 3. Gerritt Losch thinks we can be happy all the time. That is why some Christians commit suicide. Were they overflowing with happiness and could not deal with it! 4. Gerritt Losch does not expound one single scripture. Not one!!! Looks like you can now not use the written word to give a talk. The GB have already sidelined the living Word and now don’t feel they have to use the written word of God. 5. If you listen to all his happinesses it is homespun nonsense with worldly sayings etc. 6. Usual focus on happiness in paradise blah, blah blah. How about mentioning we can get genuine happiness (makarios) if we choose to live in the Christ. The one true way of spiritual happiness is not even touched. 7. Mark Noumair beggars belief. It is such a basic exposition of the law and frankly wrong. They could have accessed a range of commentaries that would give explanations. But no! We must focus on know your place, obey, be loyal and wait on Jehovah. There is definitely a famine for those living in the WT “ spiritual paradise”. As far as rants go, yours is top-notch! In all seriousness though, it really does seem to me (I could be wrong) that the GB is imploding in on itself. Even uber-indoctrinated Witnesses are starting to get that “something’s amiss” feeling in their gut. As I posted below, one of my daughters and even her husband are now starting to awaken from from the Org’s spell- thanks to JW Broadcasting. I believe that it was a gamble for the GB to start filming their own “show”. There is nothing that is carefully hidden that will not be revealed – Jesus. And revealed by their own mouths…..
I’m detecting their portrayal of insecurity (Ps 73:18) also (Is 30:12,13). Great article, Meliti. I was struggling to understand what the bible account was all about, especially with what looks like two Mephibosheths hanging around, so I really appreciated the work you put into that, Meliti. Give yourself an extra two stars. The comments on the verse are basically summarised with “put up or shut up or something similar”. Great article Meleti, very thorough thank you! The generation issue is somewhat still blurred. I have my own theory on that, as I’m sure everyone else does too. I was wondering if anyone knew what the qualifications or disqualifications were to be a “guest worker” for the Org.? I had many theories, but I’ve finally resolved it for myself. See “This Generation” – A Fresh Look. Thanks for directing me to your Article Meleti! I must say I agree with your analysis. Referring to the article one thing we must always keep in mind is the fact that Jesus’ Apostles and Disciples at that time were chewing on the spoken WORD of God in the flesh (Jn 1:14), and the written Scriptures we have today were not available to them. I forgot to say thank you for another fine commentary about the Broadcast Meleti. Speaking of Commentaries, isn’t it ironic that many times so-called “worldly” publications are way more accurate than the Org’s? Your inclusion of Welwyn’s was refreshing. It really did help to set the stage for the account. Now I know what ‘schlock’ means, I agree that it’s a good description of what went on in Mark Noumair’s talk. He put words into silent Rizpah’s mouth to work up a narrative that was more a figment of Mark’s own imagination than the factual account of a few verses. I had eyebrows raised and mouth wide open in shock at the sheer audacity of the application. It reminds me of a market stall where those shoddy goods are being sold by a smooth talking salesman who razzle-dazzles you into buying into his fakery. Think Del Boy and Rodney. That’s funny you mention who might be responsible for the inept teaching in WT articles. And I thought they were supposed to be anonymous so that the GB could get the “glory”…. Yes, Martha Martha, “Only Fools and Horses” , and of course WT. Del Boy and Rodney try to become millionaires through questionable get rich quick schemes and by buying and selling poor-quality and illegal goods. WT doing the same thing in the spiritualy way. I noticed at about the 12 minute mark, Gerrit Losch says that ” though very rare, due to depression, even some true Christains have taken their life”. I had to look up “schlock” in the dictionary. Yes, the contents of this Broadcast were indeed inferior goods trying to be pushed off on unsuspecting victims! and Markie Mark are doing all the heavy lifting…..
We watched this as a family and that last talk was disturbing, an awful bible account and the application preposterous. My very much ‘In’ family where not taken with the reasoning at all , this really gives me hope. One of my still “in” daughters is now starting to awaken due to JW Broadcasting. Isn’t it amazing that there are really no “outside” sources needed in order to expose the nonsense ?! Just tune-in to their own official channel…. Lately, I am finding out that I don’t need to say very much to extricate my wife from the organization. Just watch the broadcasts and watch for the eyebrows to raise, then follow with a good scriptural discussion. Herd is a sandwich short of a picnic. Jerome, about the same here. Play the bit about “touching” at the beginning and the suggestion that the generation teaching is some sort of new light, and we all fall over (I would say laughing, but it really is not a laughing matter, it is just so sad). I just wonder what the R & F think. Had to review the Dragnet as well. The Jesus Way Truth and Life book contains less than the W 12/14 on Jesus illustrations, so most will probably not pick up the present teaching on this, namely that the preaching work is sorting people out into “suitable” – those who come in and stay in the containers (our congregations) and “unsuitable” – the rest. I think I have the latest understanding correct.